OVERLAND PARK, Kan., January 16, 2018 /3BL Media/ - Big Data’s potential to improve community quality of life while making critical human infrastructure more efficient and sustainable is overcoming lingering fears about the costs of smart city solutions. 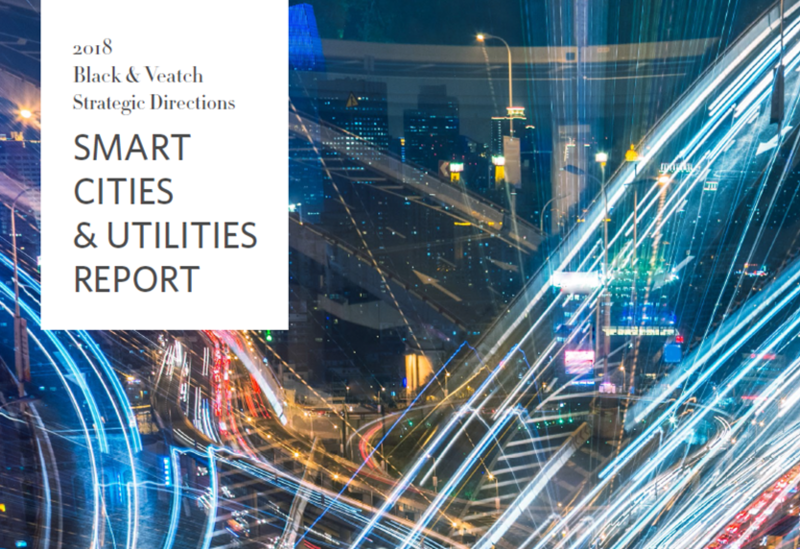 Black & Veatch’s just-released 2018 Strategic Directions: Smart Cities & Utilities Report finds that bold advances in data analytics, electric transportation and next-generation communications systems will propel smart city development. Creative financing strategies are also challenging old notions that these projects require massive upfront investments. The 2018 report explores the current landscape of smart city efforts measuring shifting involvement among key stakeholder groups, including city leaders, utilities and technology providers as global macro trends impact local efforts. Black & Veatch experts examine how unique community partnerships and innovative financing approaches are driving smart city projects in Arizona, Seattle and San Diego that showcase the possibilities of smarter infrastructure. Transportation agencies in particular stand to gain from smart city initiatives as zero-emissions technologies mature. Driven by concerns about climate change, major auto markets such as China, France and the United Kingdom announced plans to reduce or eliminate traditional internal combustion engine technology while seeking ways to move people in more efficient ways. New technology is changing the face of transportation – electric vehicle sales are rising, along with the infrastructure that supports them; autonomous vehicles are hitting the streets; ride sharing is transforming urban transport markets; and greener buses are reshaping mass transit. Electric utilities continue to have an essential yet evolving role in smart city plans. As grid modernization efforts continue in an attempt to maintain, upgrade and improve aging infrastructure, utilities work to balance reliability and the disruptive impacts of integrating distributed energy resources (DER) into the grid. This comes as increasing connectivity and a growing embrace of renewable energy force a more nimble approach to distribution. The Black & Veatch report finds that obstacles remain, chiefly budget constraints cited by nearly two-thirds of municipalities. Other barriers include the handling of data: Data collection systems are returning information, but cities and utilities struggle to confront the management, analysis and security of the staggering amount of data produced by Internet of Things (IoT) devices and other smart project resources. Nearly 43 percent of municipalities collaborated with utilities to help determine the focus of their smart city initiatives. About 61 percent of survey respondents see public-private partnerships as the most effective financing model, followed by government grants and subsidies. Three-quarters of electric utilities either have a grid modernization plan in place, or are currently developing one. Black & Veatch’s report is based on a survey of 644 participants across the municipal, utility and technology sectors. A wholly-owned subsidiary of Black & Veatch, Atonix Digital develops and offers a suite of software powered by the ASSET360 cloud-based analytics platform. These solutions create a multidimensional view of systems, infrastructure assets and processes to boost efficiency, increase accuracy of planning and improve day-to-day decision-making in an ever-changing landscape. Visit www.atonix.com for more information. Black & Veatch’s high-impact Strategic Directions Report series provides industry insights and analysis based on market-leading research. Encompassing four annual reports – Smart Cities & Utilities, Water, Electric and Natural Gas – the series serves to inform and educate industry players on key issues, challenges and opportunities. Visit BV.com/reports to learn more.